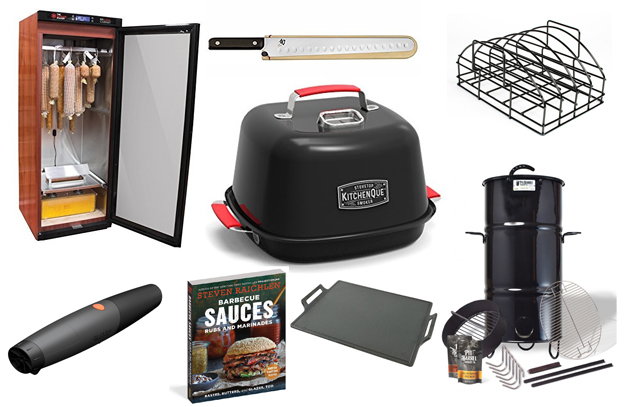 Here it is, our popular annual gift guide—a timely compilation of cool fuels, tools, and seasonings for the favorite barbecuer or griller in your life. Naughty or nice, permission granted to print it out and distribute it to people who might need gift ideas for you. Happy Holidays! 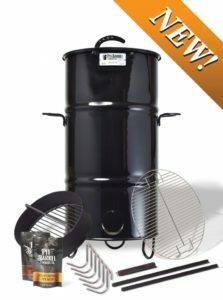 Pit Barrel Cooker Junior: Like its popular big brother, the new Pit Barrel Cooker Junior is one of the simplest, most reliable, and reasonably-priced smokers on the market. With a drum diameter of 14 inches, the “PBJ” is perfect for tailgating, car or RV camping, or even a patio with limited space. Yet, it can accommodate six hanging racks of ribs, a whole turkey, multiple chickens, or one to two briskets. $229.00 delivered. Project Smoke Barbecue Spice Rubs: Featuring six electrifying flavors, this set of rubs will take anyone’s grilling and smoking to the next level. Novices and pit masters alike will appreciate Malabar Steak Rub, Greek Island Herb Rub, Fennel Pepper Rub, Kansas City Smoke, Carolina Pit Powder, and Santa Fe Coffee. Game-changers, all. $29.95. Shun 10-inch Chef’s Knife: No matter what the task, it’s important to have good tools. For the past two years, Shun has supplied knives to the set of Project Smoke, spoiling me and the show’s executive chef, Chris Lynch; we guard them jealously. Manufactured in Japan by KAI, the knives are crafted with 34 micro-thin layers of polished stainless steel called VG-MAX and known for outstanding edge retention. It’s incredibly comfortable to use, too, with a handsome D-shaped ebony PakkaWood handle. $164.95. 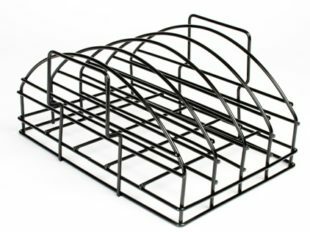 Best of Barbecue Ultimate Rib Rack : A perennial best seller from my line of barbecue products, this rib rack is one of the most economical “upgrades” you can buy for your grill or smoker. It accommodates four racks of ribs (beef or pork) in the space normally occupied by one or two. Ribs cooked vertically practically baste themselves. The sturdy rack’s nonstick surface makes it easy to clean. A must-have for any rib enthusiast. $17.65. 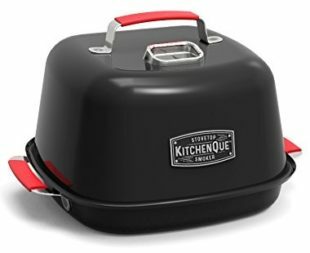 KitchenQue : Just introduced by Charcoal Companion and available Nov. 28, this stovetop smoker for indoor use is a godsend for people who crave the flavor of real wood smoke but do not have access to a smoker or grill. It is large enough to smoke a whole chicken, fish, brisket flat, prime rib, shellfish, and much, more. Attains temperatures of 400 degrees, meaning poultry will turn out with crisp skin. Works on electric, gas, or induction-type burners. Uses fine sawdust for smoking, which can be easily replenished during a cook. $83.77. Best of Barbecue Plancha: The Spanish call it la plancha. Argentineans call it la champa. We call it the best way there is to cook Spanish-style seafood and veggies over a wood, charcoal, or even gas fire. 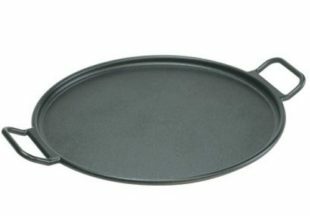 The Steven Raichlen Best of Barbecue cast iron plancha gives foods a crusty, smoky sear while keeping them succulent on the inside. The plancha is excellent for delicate fish, shrimp, vegetables—anything that tends to break apart, fall through the rungs on the grill grate, or dry out on the grill. Raised side handles for easy moving on and off the grill. $30.63. TSM Digital Dry Curing Cabinet: The popularity of aged and/or dry cured meats, especially steak, has soared in recent years, with delicacies like prosciutto, salumi, country-style hams, and all manner of charcuterie showing up on tables throughout America. This attractive temperature- and humidity-controlled cabinet could be the best thing that’s ever happened to your man cave. Pricy, but just think of the bragging rights! $3475.99. 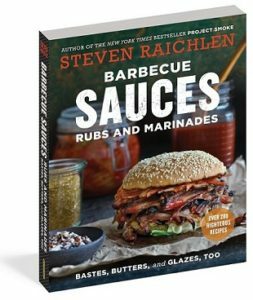 Project Smoke and Best of Barbecue Smoking Pucks: Released in May, 2016, Project Smoke by Steven Raichlen (Workman) quickly became a best-seller. It features full-color photos and over 100 irresistible recipes. Bundle it with innovative Best of Barbecue Smoking Pucks. 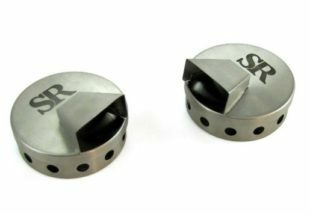 These stainless steel disks (a set contains two) hold either pellets or smoking wood chips. Directional vents enable you to direct smoke onto the food, ramping up the flavor. $12.99. 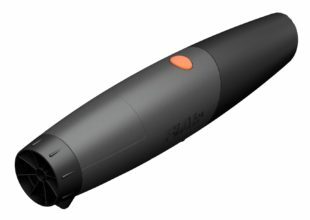 FiAir Point-and-Shoot Portable Blower : The first and only truly portable powered blower for wood and charcoal fires. No need to give up charcoal flavor for gas grill speed, FiAir brings coals to searing temperatures in just 8-12 minutes and brings greater control to charcoal grilling and smoking. Wood starts even faster: 2 minutes or less. Compact size and light weight make it easy to go wherever you need fire. Runs on three AAA batteries (not included). $24.99. Yeti Tundra 65 Cooler: The YETI Tundra 65 is just as adept at keeping your catches cold in the field as it is storing the drinks and food for your backyard barbecue. Plenty roomy, ice stays ice thanks to up to 3 inches of PermaFrost Insulation and an extra thick FatWall design is certified Bear-Resistant. The Rotomolded Construction makes the Tundra virtually indestructible, so wherever you decide to take it, this portable cooler’s sturdy construction will stand up to the rigors of the journey. $399.99. Barbecue Sauces, Rubs, and Marinades : Completely updated and revised, this bestselling encyclopedia of chile-fired rubs, lemony marinades, buttery bastes, pack-a-wallop sauces, plus mops, slathers, sambals, and chutneys belongs in the library of any serious grill jockey. It’s a cornucopia of all the latest flavor trends, drawing from irresistible Thai, Mexican, Indian, Cajun, Jamaican, Italian, and French cuisines, as well as those building blocks from America’s own barbecue belt. Contains over 200 recipes and inspired suggestions for use. $11.36. Barbecue University™: Give the griller or barbecuer in your life the ultimate experience: Enroll them in Barbecue University, a 3-day celebration of smoke and fire at the luxurious Broadmoor resort in Colorado Springs, Colorado. Forbes writer Larry Olmsted called it “one of the best food lover’s events in the nation.” Each day, students will prepare an ambitious menu culled from the world’s barbecue specialties, learning skills and techniques that will serve them for a lifetime. Two back-to-back sessions have been scheduled for late May, 2018 But hurry: enrollment in each session is limited. Packages start at $2400 per person. For more information or to book a reservation, go to the Broadmoor’s website.